In the world of filmmaking, the French New Wave is the Dylan-goes-electric moment. Rejecting the period dramas that had theretofore dominated screens, the group of European filmmakers who led the new artistic charge instead found inspiration in the modern world, and they believed in the power of the singular auteur — that a film director, like a novelist, is an author whose style should be evident in the film itself. It was a rebuke to a old-fashioned system that treated directors more like factory foremen, and the popularity of the movement, which resonated strongly with the postwar youth of Europe, set off a chain reaction whose aftershocks are still being felt today. Agnès Varda was there from day one. Now age 90, the Belgian-born Varda has been making great movies for over half a century; earlier this year, her latest film (the wonderful Faces Places) was nominated for an Academy Award. It’s rare that we get the chance (or have the sense) to celebrate such a founding figure of a movement while they’re still with us; in the coming weeks, Amherst Cinema looks to keep the party going with a new film series dedicated to the original auteur. 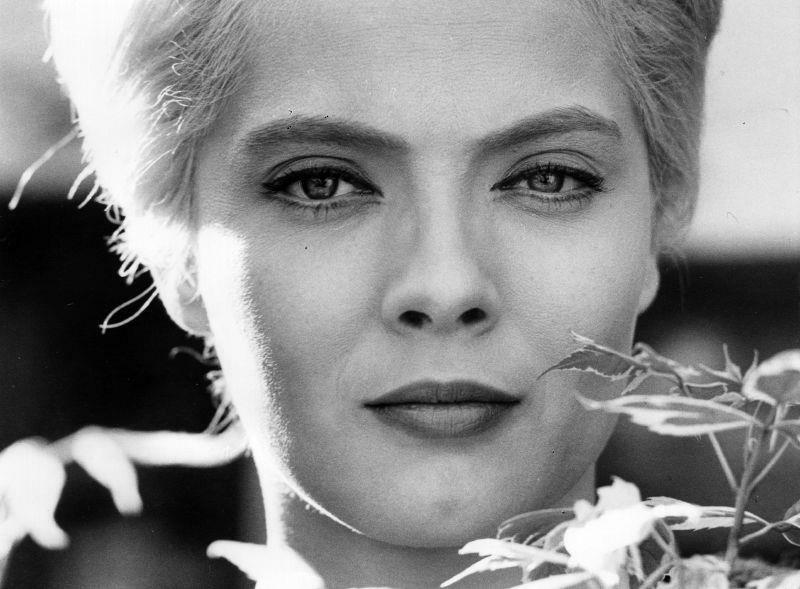 The six-film series begins September 30th with a 2 p.m. screening of Varda’s 1962 filmCléo From 5 to 7. If you’re not familiar with the filmmaker’s work, Cléo is a perfect place to begin your journey. On paper, the plot looks fairly nondescript: a woman, waiting for the results of a biopsy, knocks around Paris as she worries about what her future holds. She sees friends and lovers (providing Varda plenty of room to critique the male/female relations of the time), reflects on her work as a singer, and feels the pull of her own mortality. But the poetry in Varda’s film — like the poetry in all of our lives — isn’t found in overwrought or flowery show: It is in the recognition of how we use our own short-lived time here, together. That film is followed up a week later by a double feature of Varda’s mid-to-late 1960s films, when Amherst pairs Le Bonheur(1965) with the short documentary Black Panthers (1968). In Le Bonheur (Happiness), young father François (Jean-Claude Drouot) seems to live a happy life as a family man with his wife Thérèse and their children, yet he pursues an affair with Émilie. When the affair leads to a particular devastation — without giving it all away, it is perhaps enough to say that his explanation to his wife that since he has “more than enough happiness to go around, nothing has changed” — it is François’ next step that seems the most astounding. For viewers, this 53-year-old film, with its themes of self-involvement, might seem alarmingly, depressingly, up-to-date. Varda shot her 28-minute documentary Black Panthers during a demonstration in support of Black Panthers co-founder Huey P. Newton. Visiting California while her director husband was working in Hollywood, Varda’s camera was rolling as crowds arrived in Oakland to protest Newton’s arrest and imprisonment. Along with protestors and movement leaders like Kathleen Cleaver, Newton himself appears on camera to describe the intentions of the movement he led. Watching Varda’s film in today’s climate of civil disobedience (and the often uncivil response to it) is a painful reminder that our country and culture still have a long way to go, and a lot to learn. Thankfully, we have filmmakers like Varda there to remind us of that.